1st Place medal. Many different ribbon colors to choose from. A trophy fit for a champion. 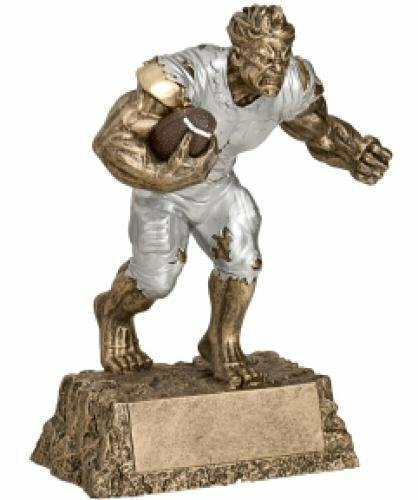 This classic football award makes a statement. Resin with a black aluminum plate with silver engraving attached to the front. 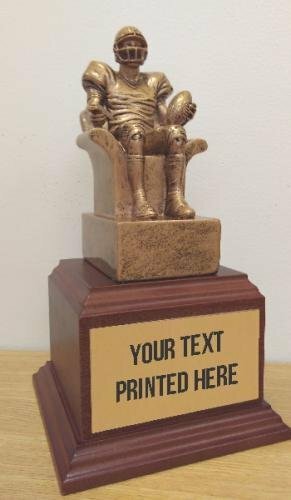 If you'd like a taller trophy, click here to see it with a base added. The silver mirror-like finish and the size of this resin football makes an impressive trophy. 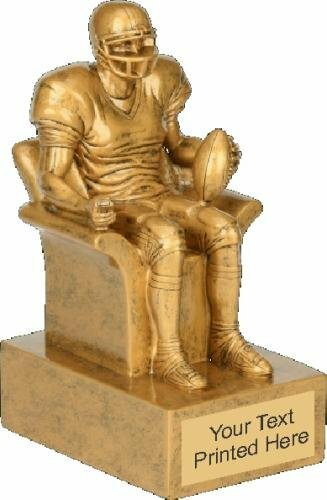 Give one to your MVP or the winner of your Fantasy Football League. Black aluminum plate with silver engraving. For an additional cost, several small plates can be attached to each side of the base, making it a perpetual trophy. Contact us for pricing on that option. 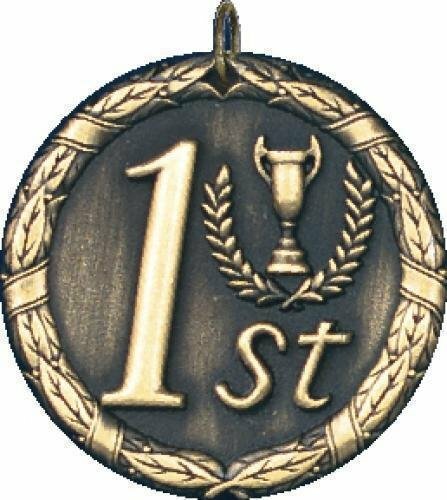 We don't like to call anyone a loser, but last place is last place. 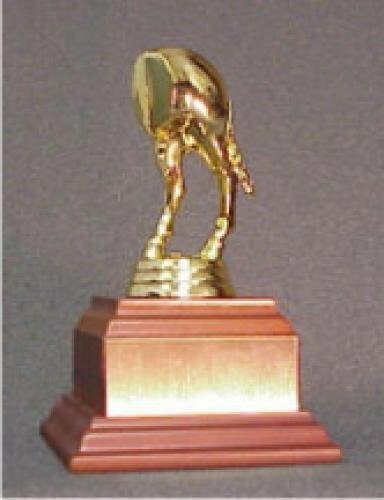 Recognize their lack of achievement with this bringin' up the rear award featuring a back end of a horse. 5-3/4" tall when using the 2" tall base. Your actual trophy height depends on which base is chosen.